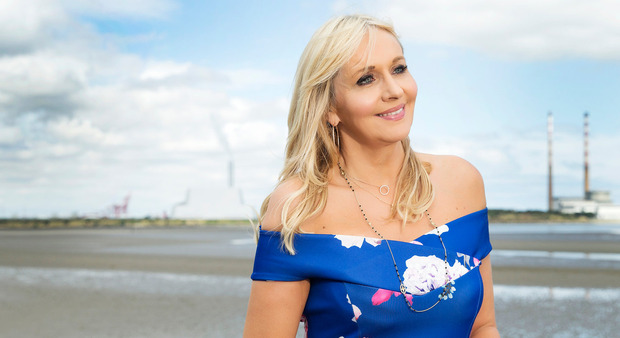 There was no tension between Miriam O'Callaghan and Sean O'Rourke when they met at the Galway Races last Tuesday. "He knows I'm only keeping the seat warm for him," says Miriam of her stint on Radio One on weekday mornings, while O'Rourke takes an extended break. "He'll be back and he's a brilliant journalist. "I'm only doing it until the beginning of September," she says, "when Sean will return. I was actually sitting with him at the Galway Races yesterday and we had a great chat with each other all day. We made a few bets, a few flutters. "He's fantastic," Miriam adds of O'Rourke's form. "You know, it is a relentless gig and I think he wanted some time out and I can understand that; he's been doing it for nearly five years." When Miriam arrives, straight from RTE and a pre-record for the following day's show, she instantly laughs at how busy she is. Until this year, we had met every early summer for more than a decade to conduct a long interview for the Sunday Independent LIFE magazine. The annual interview always heralded the return of her TV chat show, but as there was no TV chat show this year, there was no annual interview. "I'm supposed to be less busy this year!" she laughs. "But I'm busier then ever!" When it was announced that she would not be doing the TV chat show, Miriam said her focus was going to be on her forthcoming documentary on the civil rights movement in Northern Ireland and the Pope's visit, but there was also supposed to be some breathing room in her schedule. No such luck, but, obviously, she wouldn't have it any other way. "I decided not to do my chat show," Miriam says, "and I thought, 'Great it will give me a bit of peace. And then, out of the blue, I'm standing in for Sean on the morning show and now I'm busier than I've ever been. And it's all good." Of course, if Miriam hadn't "ruled herself out" - as she carefully puts it, every time - of the race for the Aras, she wouldn't be keeping Sean O'Rourke's seat warm either. Having announced on Twitter in April that she's not in the running for the presidency, Miriam now finds herself "on radio talking about it every other day". We talk about her recent interview with businessman and TV Dragon Gavin Duffy, in which they talked about how tough the campaign is on the individual. I wonder if that gave her a sense of personal relief that she's not in line for that grilling. "Now that I'm talking about it a lot [on radio], I'm just so relieved I ruled myself out quite some time ago. I did say when I was talking to either Gavin Duffy or Noel Whelan [who has ruled himself out], that it's a terrifying contest." "It's all about the individual," she says, as we ponder why such a toothless role has such a savage contest attached. "It's all about the person. They will be quizzed on their policies, but it's all about them. And it's hard on their families and I do think that's an important part of it. You have to decide: what are you willing to inflict on your family?" Miriam and her family are in a good place right now. Her eldest daughter, Alannah McGurk is 31 and married. Her other three daughters are variously studying and working. Her three eldest sons are in college or school and the youngest, Jamie (12), is starting secondary in September. Miriam tells me that in June, a mother asked her at the primary school gates if she felt emotional as her youngest finished up. Not a bit of it. Miriam loves to see them growing more independent and starting to find their way, and anyway, with eight children, she's done her bit. She's past feeling soppy about the end of an era: she has seen plenty already. Maybe being a mother of eight has made Miriam adept at dealing with change, but it's always notable how nothing seems to faze her. Since we last met, her husband Steve Carson took a new job at BBC Scotland, as their Head of Multi-Platform Commissioning. He went to Edinburgh from his job in BBC Northern Ireland, which had him based in Belfast most of the week, returning to Miriam and the family only at weekends and for a night midweek. The relocation to Scotland means the midweek visit is not possible, but Miriam is fine with this. Steve comes home every Friday and every Monday she gets up and drives him to the airport at 5.30am, "just so I can say I've seen him on Monday". Given how busy she is this summer, the lack of the Wednesday visit is not a problem, and anyway, Miriam says, life changes. Some Wednesdays she now meets one of her girls for a bite to eat, which is a nice evolution. The house is quieter now it's mostly boys at home, she admits. "Boys tend not to talk as much," she smiles. "When the girls are there, it's a gabfest. One of the girls was saying the other day that the shower has gone from lots of girls' products to a lot of Lynx. There's a lot of Lynx going on these days." Miriam and Steve took a family holiday to Portugal in July, with only the two youngest boys with them. "We were like a normal family," she says. "It felt completely weird. We kept thinking we'd lost people or left them behind. It wasn't the tour party, as they all used to say. And the two boys were very polite about it, but I think they were really bored with us. They missed their siblings. There's usually a lot of craic when it's a crowd and you get used to that; but it was fine." You have to take Miriam's point, listening to how things are rolling along nicely for her, that it's a big decision to rock the boat with a presidential campaign. Also she's enjoying the radio, and her documentary on the civil rights movement, which brought her to the Deep South of the US as well as to Northern Ireland, is being broadcast next Tuesday, August 14. She's also involved in an "extravaganza" live-audience Prime Time ahead of the Pope's visit and is pencilled in to keep Sean O'Rourke's seat warm until the start of September. "Sometimes things work for a reason," Miriam adds. "I'm a great believer in that in life. I couldn't have done the radio if I was doing the chat show. No, you couldn't have six days a week of Miriam O'Callaghan." You'd crack up, I say. "Well, the nation would crack up, more importantly," she laughs, "Imagine: 'It's me again!'" This, of course, glides blithely over the fact that Miriam has been happily received as O'Rourke's temporary replacement and that the nation seems very happy to listen to her for two hours a day, five days a week. She loves the wide-ranging format of the show, she says, and has no problem revving herself up for it, day after day. "I probably should say that it's harder but I really enjoy it," Miriam says. "It's a mix of lots of different subjects, so it's really up my alley. And I would have to say that I'm in awe of the team. I often wondered how people knew so much on radio, but you get the most amazing briefs. You go in at seven in the morning," she says, "and you don't know what you're leading on, and then within an hour you have this brief and it's like a PhD and bang!" Her original training as a solicitor, and lifelong self-confessed swottiness, stands to Miriam in such situations. She's a quick study, able to digest and analyse information quickly and then, as an extra talent, to deftly turn it into a lively conversation or debate. "It's the lawyer in me," she says. "The mastery of the brief. Don't ask me a thing about what I discussed this morning, but when I'm in the moment, I'm in it. "That works in life as well," Miriam continues. "You can't carry yesterday into today or tomorrow. Because it's done, it's over, it's gone and finished. Keep going; today is a new day. Anyone who lives with me will tell you I'm relentlessly like that. So [the weekday-morning radio show] is wonderful for me. I don't know who I'll be talking to tomorrow or what they'll have for me but I think that's excellent. Bring it on. I probably don't agonise enough," says Miriam, though one doubts that she really means it. To mean that would run counter to her central philosophy; that every day is to be cherished and lived to the full. And agonising takes too much energy, she agrees, energy that you need if you're going to get up every weekday morning and present a radio show afresh. "Also," Miriam says. "You should save agonising for things that really matter, like illness and death. Nothing else really deserves it."